Stay home and rest - Unlike the common cold, the flu usually comes out of nowhere. One minute you could be going about your normal routine while you’re forced to crawl back to bed the next. Listen to your body, though. Stay home, stay warm, and rest. Avoid going to work or school and risk getting others sick. Experts recommend avoiding contact with others for at least 24 hours after your fever breaks. Drink plenty of fluids - Remember when mom would constantly remind you to drink fluids when you were sick? Well she’s right. Drinking lots of water and other clear liquids helps prevent dehydration. Do you not have the energy to use a cup? Then feel free to use a squeeze bottle or straw instead. Avoid close contact with others - Most people aren’t aware that you can infect others from one day before you get sick to about a week after developing symptoms. If you live in a shared household, do what you can to stay in your bedroom/bathroom to decrease the case of infecting others. Those with the flu should also use their own drinking glass, washcloth, and towel. Lastly, disinfect everything you touch. Treat fever with over-the-counter medicines - Fever is often the worst part of having the flu. Don’t be surprised if your body temperature rises anywhere from 101 to 104 degrees. For the most part, a flu fever lasts between three to five days. One way to treat your fever is with OTC medications such as Tylenol, Advil, or Motrin. Call your doctor - There are times when rest and OTC medications just aren’t enough to kick the flu for good. If you’ve had a fever and other symptoms for several days, it’s probably time to call your physician. They can prescribe an effective antiviral drug to help you recover. Keep in mind that antivirals are known to work best when given within about 48 hours or so. Have you ever considered hydration treatment for your flu symptoms? At Elevation Hydration, we carry several packages to suit your needs. Take the Immune Tune IV hydration therapy option, for example. It includes vitamins C and D3, zinc, and glutathione, all infused into one liter of hydration. The team at our hydration clinic strives to get you back to feeling your best. There’s no need to worry about long wait times or co-pays. Simply contact us today to schedule your appointment. Don’t let flu or cold symptoms keep you down any longer. Get in touch now with Elevation Hydration. Colorado is a beast when it comes to altitude. In the Springs, we sit at more than 6,000 feet above sea level. It’s why so many Olympians choose to do much of their training here. Whether you’re a longtime resident of the state or just recently moved here, what does your current hydration strategy entail? Maybe a few gulps of water after a strenuous workout and that’s about it? The startling reality is that many Coloradans fail to stay hydrated the way they should. Consequently, they’re flirting with potentially dangerous consequences. Dehydration can lead to fatigue, lightheadedness, and poor performance. Don’t let dehydration get the best of you. Keep reading for tips on how to stay hydrated in Colorado. Drink plenty of water - Here’s the deal about elevation: Since high altitude is drier and has lower air pressure, moisture evaporates quickly from your skin. That makes it difficult to truly gauge your hydration levels. Many folks make the mistake of thinking that because they don’t sweat much, they’re properly hydrated. This notion is completely inaccurate, though. That’s why it’s so important to drink plenty of water on your way to altitude. It doesn’t matter if you’re coming here by plane or car. The last thing you want to do is arrive dehydrated. Ease into activity - The mountains may be calling, but that doesn’t mean you should rush there. You may be itching to ski or snowboard as soon as you get off the plane. That said, it’s not smart to demand the same level of energy from your body at altitude that you experience at sea level. Experts recommend that, if possible, you stay an entire day in Denver before engaging in physical activity at a much higher elevation. This allows your body extra time to acclimate and take more rest than normal. By rushing into activities, you’re only leaving yourself more susceptible to altitude sickness. Continue to drink water - Just because you feel fine after a day or two at altitude doesn’t mean you’re in the clear. Pay attention to what your body’s telling you. If you’re at all concerned, drink a little more than you think is necessary. Never ignore signs such as fatigue or headaches, as these may be signs of dehydration. Eat foods with high water content - Many folks just don’t like the taste of water. If you feel like you just can’t drink enough, make it a point to consume fruits and vegetables high in water content. Steer clear of caffeine - Do you need a cup of joe to get started in the morning? You may want to think of an alternative pick-me-up once you get to Colorado. It’s important to know that caffeine is a diuretic and may inhibit your body’s water absorption. Do what you can to limit liquid intake to mostly plain water. Are you ready to elevate your life? Elevation Hydration is here to help. We offer a variety of IV hydration therapy packages intended to enhance performance and overall wellness. “The Incline” is a hydration treatment designed specifically for anyone in need of quick, efficient recovery from the altitude. A combination of B-Complex vitamins and amino acids work to oxygenate muscles and fight fatigue. Thanks to our hydration clinic, you can get back to doing what you love in our beautiful state. Call now to schedule your appointment. Stay tuned for more hydration tips. First trimester pregnancy symptoms are anything but fun. Between constant nausea and vomiting, it’s not easy to stay adequately hydrated. The fact is that dehydration isn’t good for anyone, especially for pregnant women. Devan McGuinness of Babble cites a Fox News finding that preterm birth, psychological disorders, and brain disorders are all risks linked to severe dehydration in pregnancy. The natural question you may have is, “Well how am I supposed to stay hydrated if I’m having trouble keeping down fluids?” Here are five tricks you may want to try during pregnancy. Take it easy with exercise - There’s no problem with exercising during pregnancy. That said, it’s imperative to be aware of how much you’re actually sweating and exerting yourself. Don’t hesitate to take the occasional break when necessary. Not to mention, be sure that you’re drinking plenty of water as you exercise. Steer clear of sugary sports drinks as much as possible. Make electrolyte popsicles - There are some days when you just can’t stomach much. Even with medications, the nausea gets the best of you every now and then. This is when many pregnant women turn to electrolyte popsicles. They provide a good balance of everything you need to stay out of the danger dehydration zone. Eat ice chips - Unfortunately, cold water sometimes feels heavy on the stomach when you’re nauseous. Think about eating ice chips as an alternative. Ice chips can help you feel like you’re eating something while also getting the necessary water intake. Line up the day’s water - Try to have a set amount of water that you drink each day, regardless of whether or not you’re nauseous. Then line up the water cups/bottles in the fridge for your daily intake. It sounds silly, yet makes a difference in hydration levels. Plus, it allows you to keep track of how much water you’ve had so far in the day. Get your fill of fruit - Pregnancy cravings come and go. There are also days where absolutely nothing sounds appetizing. With that in mind, make it a point to eat plenty of fruit during pregnancy if you’re concerned about dehydration. A number of fruits, such as watermelon, even have high water content. Have you ever heard of intravenous hydration therapy? More medical professionals are using this as an innovative approach to health and wellness. Let’s get back to the basics for a moment. The human body is designed to run on water and minerals. Therefore, without proper hydration, the body fails to perform at optimal levels. Experts confirm that hydration treatment is one of the safest, quickest, and most effective ways to deliver vital nutrients to the body. What makes our hydration packages so effective is that we use only the purest forms of essential vitamins and nutrients. Since everything is delivered intravenously, these nutrients bypass the stomach and aren’t impacted by intestinal absorption. Those vitamins and minerals, musts for expecting moms, are then available for immediate use. Keep in mind that proper hydration allows the body to instinctively remain healthy, repair/rebuild, and fend off invading organisms. Visit our office and fill out a brief medical questionnaire. Once you speak with one of our team members, we will select a hydration package that makes the most sense for you. You have the choice to ask for add-ons with any of our therapies. For example, we have something if you’re looking for a boost of energy, increased immune support, or even athletic recovery. We put you through the requested hydration session, which only lasts about 45 minutes. What’s more to like is that there aren’t any co-pays or long lines. We know you’re busy, which is why we do our best to get you in and out in under an hour! If you’re pregnant and would like to explore hydration treatment, please be sure to run it by your doctor first. Then give us a call so we can schedule your appointment. For years, migraines have taken over your life. The pain, discomfort, and sensitivity cause you to miss work and time with your family. You aren’t alone. In the U.S., more than 37 million people suffer from regular migraines. While there may not be one obvious cause of migraines, there are a number of common triggers. Keep reading to learn how hydration treatment may help limit your migraines. Tyramine - Found naturally in aged cheeses, alcohol, and processed meats, Tyramine has been linked to these debilitating headaches. Food additives/preservatives - The next time you pick up your favorite packaged deli meat or salad, take a look at the ingredients. Some additives such as nitrates and nitrites found in ham, sausage, and other processed meats have been known to contribute to migraines. Monosodium glutamate (MSG) - There’s been plenty of talk around MSG in the food industry recently. Unfortunately, it too has been connected with migraines. Alcohol - Those who drink may be more prone to migraines than folks who do not. It ties back to the impurities in alcohol or the byproducts your body produces as it metabolizes alcohol. Caffeine - This is the big one. Maybe you depend on a daily cup of joe to get you started in the morning. It could be that you rely on that afternoon soda with lunch. When you get home, it’s possible that you make yourself some tea. Whatever your beverage of choice may be, just know that excess caffeine can cause migraines. Don’t think it’s a good idea to go cold turkey, though. Eliminating caffeine abruptly may also lead to migraines. Bread - If you regularly pack a sandwich for lunch, consider substituting the bread for a lettuce wrap. Pizza, peanuts, and chicken livers - Specific foods such as these can also contribute to more migraines. Watch what you eat and drink - Make it a point to write down any food or drink you had. This will allow you to identify any sort of pattern related to your migraines. If you’re concerned about what may need to be eliminated from your diet, consult your physician. Eat regularly - We all fall victim to skipping the occasional meal due to workload, scheduling conflicts, etc. But skipping meals regularly can spell disaster for migraines. Feel free to be more proactive with this by eating a healthy snack every few hours. Be smart with exercise - Do you find yourself getting painful headaches right after a workout? It may be a good idea to tone things down a bit until those migraines are under control. Get regular sleep - Do you wake up feeling tired? Now’s the time to start getting more sleep. Remember that being overly tired can also trigger migraines. Learn to cope with stress - Anxiety, worry, fatigue, and excitement can only make a migraine worse. Take the time to cope with stress more effectively through counseling and relaxation training. Elevate - One of our most popular hydration treatment options, ‘Elevate” promotes general wellness and recovery. Myers’ Cocktail - We like to call this a powerhouse multivitamin in a bag because it’s perfect for whatever may be ailing you. The Myers’ Cocktail is packed with B-Complex vitamins, B-12, vitamin C, Calcium, and Magnesium, infused into one liter of hydration. The Hang(Over) - Is your head pounding from a night of drinking? This recovery package will get you back to feeling like yourself in no time. The Hang(Over) is a mix of B-Complex vitamins, Zofran for nausea, and Toradol for that nasty headache. See how our hydration clinic can help your migraines. For more hydration tips, contact the professionals at Elevation Hydration. There’s certainly no shortage of ways to stay in shape in Colorado. From hiking and biking to skiing and snowboarding, the possibilities are seemingly endless. That said, we often get so wrapped up in what we’re doing that we forget to stay hydrated! Keep reading to learn about the importance of staying hydrated. Harvard Medical School recommends that a healthy person needs 30 to 50 ounces of fluid per day. Drinking fluids allow the body to maintain the function of your heart, brain, and muscles. Note that fluids carry nutrients to your cells, flush bacteria from your bladder, and prevent constipation. Not surprisingly, children and young adults tend to do a better job of drinking water and other fluids throughout the day because of their amount of physical activity. Older adults, meanwhile, don’t sense thirst as much as they did when they were younger. It’s why this age group is more susceptible to dehydration. There are different levels of dehydration. In mild cases, you may feel a bit weak and notice that your urine is dark in color. More worrisome warning signs include low blood pressure, dizziness, or confusion. So what can you do to stave off dehydration and feel your best? To start with, drink more water. However, don’t just feel the need to chug from your water bottle. Make it a priority to stay hydrated throughout the day. Whenever possible, eat water-rich foods such as salads, fruit, and vegetables. One of the easiest ways to avoid dehydration is by getting fluids at meals. Be aware that if you have certain health conditions or take specific medications, it is possible to take in too much water. For example, maybe you have thyroid/kidney disease, liver disease, or heart problems. It could be that you’re on a regimen of nonsteroidal anti-inflammatory drugs, opiate pain medications, or antidepressants. If that’s the case, be sure to consult with your doctor to check that you’re consuming the proper amount of water. Are you an elite athlete looking for that competitive edge? Or are you just a busy professional and haven’t felt your best recently? Hydration treatment could be the answer for you. At our hydration clinic, we will deliver vital nutrients to your body in a safe, quick, and effective manner. Rest assured that we only use the purest forms of vitamins and nutrients for our hydration packages. What makes IV hydration therapy so unique is that, when delivered intravenously, these nutrients bypass the stomach and are not affected by intestinal absorption which makes them available for immediate use. Hydration treatment enables you to get 100 percent of the vitamins your body craves! Once properly hydrated, you will feel an instant difference. Hydration treatment encourages the body to remain healthy, repair/rebuild, and fend off invading organisms. At Elevation Hydration, we make things easy. Once you come into our office, we will have you fill out a brief medical questionnaire. From there, we select a hydration package that best fits your needs. We even have add-ons available if you could use an energy boost, increased immune support, athletic recovery. Our staff strives to get customers in and out of the office in less than an hour! Best of all, there are no co-pays or long waits. See what Elevation Hydration can do for you. Call us today for more hydration tips. We’ve all heard the advice, “Drink eight 8-ounce glasses of water a day.” That said, your individual water needs depend on many factors such as health, activity level, and where you live. The Mayo Clinic explains that no single formula fits everyone. Some people may not need eight glasses a day, while others require more than that. Keep reading to learn how much water you really need. Overall health - Not surprisingly, your body requires more water when you have a fever, vomiting, or diarrhea. It’s also imperative to stay properly hydrated if you’re dealing with bladder infections or urinary tract stones. Don’t hesitate to contact your physician should you have questions regarding additional oral rehydration solutions. Exercise - You need to drink extra water to cover the fluid loss from exercise. If you’re an athlete, be sure to drink before, during, and after a workout. Do what you can to avoid sports drinks, though. The electrolytes may help replace minerals in your blood lost through sweat, but they don’t justify the amount of sugar in the drink itself. Environment - Depending on where you’re located, the weather can make you sweat and require additional fluid intake. This is the case in areas that are hot, humid, or in the case of Colorado, at high altitude. Note that these numbers cover fluids from water, other beverages, and food. In most cases, nearly 20 percent of daily fluid intake comes from food and other drinks. Ideal for the Colorado outdoor enthusiast, this hydration treatment package includes B-Complex vitamins and B-12 for energy. This one is made for the competitor. Take advantage of a mix of B-complex vitamins, B-12 for energy, toradol for aches and pain, as well as calcium. Don’t forget to ask about our pre and post-workout add-ons to elevate your training and recovery! Schedule your appointment today. A lot of us don’t drink enough water every day. Some of us dislike the taste, while others simply forget. However, consider that about one-fifth of our water consumption comes from foods alone. If you’re looking to maintain your water intake throughout the day, be sure to snack on the following foods. When paired in tandem with your water bottle, these foods will help you stay hydrated. Cucumbers - This vegetable contains nearly 95 percent water. Not to mention, they’re loaded with potassium, which can help prevent stroke. The anti-inflammatory properties of cucumbers also promote brain health. Cucumbers are incredibly versatile in that they can be eaten alone, thrown in a salad, or paired with other vegetables. Zucchini - Similar to cucumbers, zucchini also contains about 95 percent water. Part of what makes zucchini so popular is that it makes a tasty substitution in pastas and other carb-heavy dishes. Watermelon - We still have several weeks of summer here in Colorado, so why not stock up on the most hydrating fruit? Watermelon contains about 92 percent water and is filled with vitamins A, B6, and C, in addition to lycopene and antioxidants. Celery - Yet another vegetable that contains 95 percent water, celery is known for more than just its hydrating properties. In fact, studies have found that this green has the potential to combat the growth of cancer cells. Carrots - Maybe you were already aware that carrots are imperative for good vision. But they’re also 90 percent water and make the perfect anytime snack. Radishes - Not a ton of folks eat radishes the way they do the aforementioned veggies. But there’s no reason you can’t start! Radishes are also 95 percent water, while their natural spicy flavor acts on the body to alleviate excess heat in the body. Plus, radishes have plenty of vitamin C, phosphorus, and zinc. Kiwi - Believe it or not, kiwis have more vitamin C than an orange. Made of 85 percent water, kiwis have as much potassium as a medium banana. They go great in desserts, fruit salads, smoothies, and much more. Then pair it with zinc and you’ve got a combination that fends off the common cold. Peaches - Colorado residents know that now is the time to enjoy those delicious Palisade peaches. Along with their incredible taste, peaches contain 88 percent water and have the potential to prevent obesity-related diseases such as cardiovascular disease and diabetes. Potatoes - This may be the most surprising one on the list. Potatoes contain about 80 percent water and are a good source of potassium. The next time you prepare baked potatoes, try topping them with broccoli, lean protein, cheese, and beans. Broccoli - This cruciferous vegetable has a pretty impressive resume. Loaded with nutrition, broccoli provides protective phytonutrients, antioxidants, fiber, vitamins, and minerals. Plus, it goes great with just about every meal. Elevation Hydration is the only IV hydration therapy clinic in Colorado Springs. Our hydration clinic strives to get Coloradans back to the active lifestyle they enjoy. For more hydration tips, please don’t hesitate to get in touch with us. If you’d like to experience one of our hydration packages, schedule your appointment today! We’ve all been dehydrated at one point or another. According to WebMD, dehydration occurs when your body doesn’t have as much water as it needs. Remember that without enough water, the body can’t function at an optimal level. Depending on how much fluid is missing from your body, you could be dealing with mild, moderate, or severe dehydration. 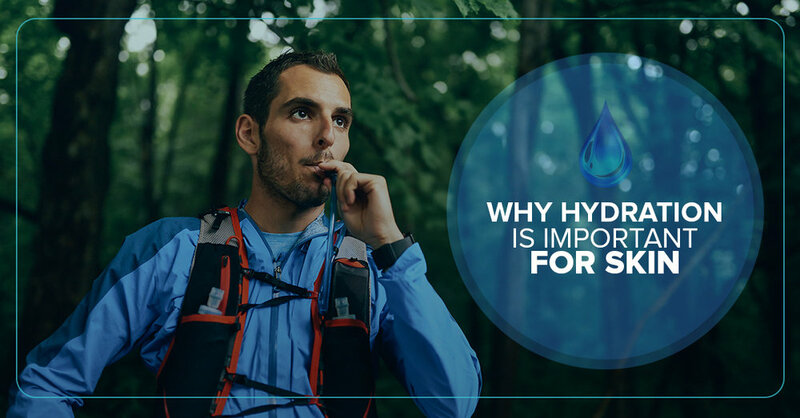 In this blog post, we will explain the causes, symptoms, and risks that come with dehydration. Babies and young children - They can lose significant amounts of water from diarrhea, vomiting, and a high fever. Plus, depending on how young they are, young children may not be able to tell you that they’re thirsty or have the ability to get their own drink. Older adults - Many times, elderly folks don’t realize that they’re thirsty. On top of that, they may not be able to get a drink very easily. People who are active outside - Keep in mind that in hot and humid weather, our bodies struggle to keep cool because sweat doesn’t evaporate in these conditions. In turn, this leads to a higher body temperature and need for more water. At Elevation Hydration in Colorado Springs, we offer premium IV hydration packages. Intravenous hydration therapy is a revolutionary approach to overall health and wellness. Our hydration clinic is proud to carry a number of treatment packages to suit your needs. You visit our office and fill out a brief medical questionnaire. We then sit down with you and figure out your hydration needs. Don’t think of our treatments as a traditional IV. Instead, we select a hydration package that best suits you. Rest assured that our team never uses a one-size-fits-all or cookie cutter approach. Once we’ve chosen your package, you have the freedom to pair it with add-ons. Could you use a boost of energy, increased immune support, or athletic recovery? Then we’ve got an add-on with your name on it! We try to get folks in and out of their hydration session within 45 minutes. There’s no downtime, either! You can walk out the door and get back to your active lifestyle refreshed and rejuvenated. Plus, there’s no co-pays or long waits that you would find at other clinics. If you’re interested in any of our hydration packages, please feel free to contact us or book your appointment online. You’ve been told countless times, “Be sure to drink plenty of water.” Whether you’re about to run a marathon or head to work for the day, this is definitely sage advice. But there’s plenty of misleading information out there regarding proper hydration. For example, do you really need to drink eight glasses a day? Is your favorite caffeinated beverage actually dehydrating you? In this blog post, we will debunk some of these hydration myths. Drink eight glasses of water a day - This may be the one that gets brought up most. However, according to this article in Runner’s World, the number of glasses you drink is completely arbitrary and depends on your activity level. Keep in mind that The Institute of Medicine recommends 91 ounces of water per day for women and 120 for men. Clear urine means that you’re properly hydrated - Susan Yeargin, assistant professor of athletic training at the University of South Carolina says that “As long as it’s pale yellow, like lemonade, you’re hydrated.” Therefore, there’s no need to worry if your urine isn’t perfectly clear. Just know that if it’s darker, it’s time to drink up. Caffeine dehydrates you - Research shows that about two cups of coffee minimally increases urine output for three hours after consuming it. When coupled with exercise soon after, caffeine doesn’t cause to urinate more frequently. In addition, if you routinely have your cup of joe in the morning or soda at lunchtime, your body acclimates to the caffeine. Pure water is best for hydration - Contrary to popular belief, water isn’t always the best choice for staying hydrated. Experts explain that it’s important to ingest some sodium as well because salt helps our bodies retain water. Here’s the tricky part, though. If you’re just going on a light jog, you don’t necessarily need an entire bottle of Gatorade. On the other hand, if you’re training for the next Tough Mudder, it’s critical to get some of those electrolytes in your system. Drinking water is a good way to detox - In the article, Dr. Stanley Goldfarb explains that, “There is no evidence that excess water makes your body more clean.” Drinking too much water can even impair the ability of the kidneys to filter blood. What is IV Hydration Treatment? Without proper hydration, our bodies can’t perform at the highest level. With intravenous hydration therapy, you can enjoy one of the safest, quickest, and most effective ways for vital nutrients to be delivered to the body. At Elevation Hydration in Colorado Springs, we are proud to offer a variety of hydration treatment packages. Our hydration clinic can set you up with treatments if you’re sick, hungover, jet-lagged, or just need a boost for an upcoming competition. You can feel comfortable knowing that we only use the purest forms of essential vitamins and minerals for our packages. Best of all, you’re getting 100 percent of the vitamins your body craves because they’re delivered intravenously and aren’t affected by intestinal absorption. You’ll be amazed at how, with proper hydration, your body remains healthy, repairs & rebuilds, and fends off illness. If you’re in need of some hydration help or hydration tips, please don’t hesitate to call. We are happy to provide clarification regarding other hydration myths.